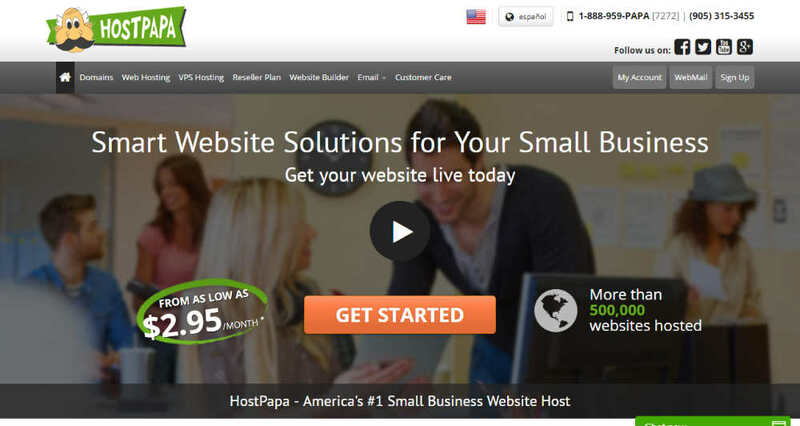 Hostpapa is a privately owned hosting company without any connection to the giant corporations. Based in Toronto, Canada, the company offers several hosting plans ranging from shared to reseller and VPS hosting. 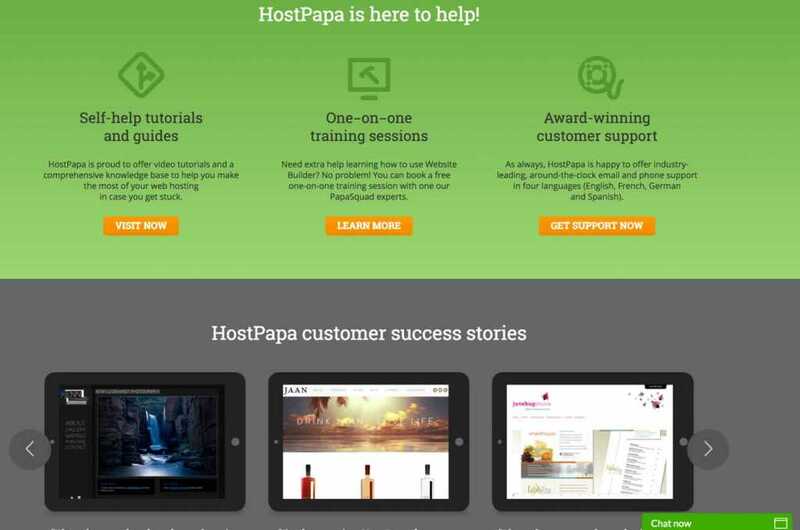 Since Hostpapa started its journey in 2006, it has hosted hundreds of thousands of websites all over the world. 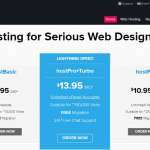 First of all, Hostpapa offers a competitive pricing including everything you expect from a regular web host. Its great loading speed and multi-lingual customer care support will come in handy for non-English websites. The company also puts a lot of importance on being eco-friendly in its regular operations. 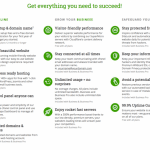 Free domain for the first year will let you get started immediately. Complete cPanel access with 24/7 FTP access will come in handy to manage the website files. You will get unlimited email accounts to make the most of your branded emails. Free domain transfers with site transfer assistance will help you in moving your website from other hosts. There is a drag-and-drop website builder with advanced HTML editing to help you create custom designs. You can choose any of the 120 professionally designed templates for your site. One-click software installations make it a lot easier to get started with different tools. Full e-commerce support with PayPal to create and manage your online business. Built-in options for forums, galleries, polls, surveys will help you to add more functionalities to your site. You will enjoy a free SSL certificate, SiteLock security seal, DDoS attack prevention, and lots of other security features. The secure, reliable data centers have multiple power sources to ensure constant availability of your website. 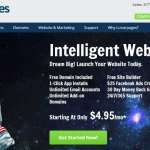 Starter: Priced at $3.95 per month, this plan allows you to host two websites with 100GB of storage, unlimited bandwidth, 25 subdomains, 100 email accounts with 500MB storage for each account, five IMAP connections, cPanel, FTP, and one-click software installations. 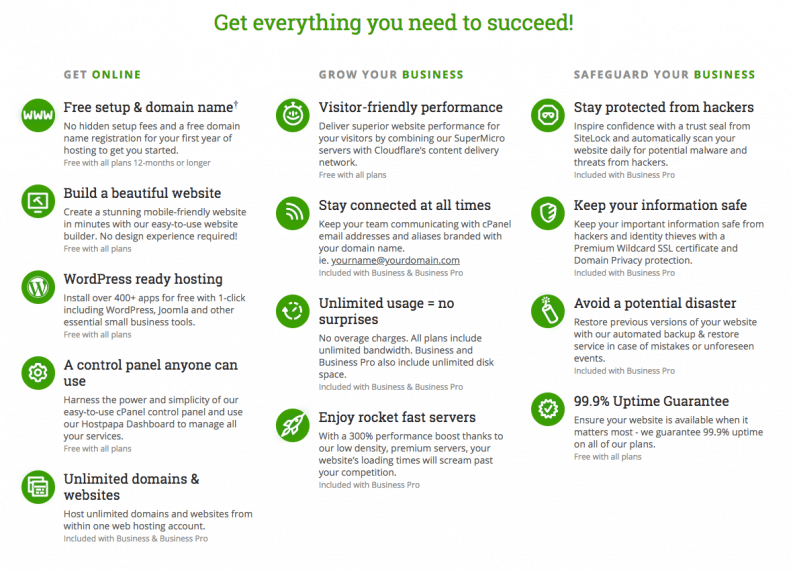 Business: For $3.95 per month, the Business plan allows you to host unlimited websites and enjoy unlimited storage, bandwidth, email accounts, 500MB storage for each email account, and have unlimited subdomains, parked domains, and add-on domains. Business Pro: Priced at $12.95 per month, the Business Pro plan offers all the benefits of the Business plan along with additional facilities like 1000MB storage for each email account, premium fast servers with fewer accounts, enhanced performance optimization, and superior security features. All plans come with a 30-day money back guarantee. There are different ways to get support from Hostpapa. You can get the basic information from the dedicated knowledge base and the blog. The network status checker tool will help you find out about any existing issue. It is also possible to issue a support ticket or live chat in different languages. Monthly Basis Pricing Started from $3.95 to $12.95 . Features various on the plan Selected.